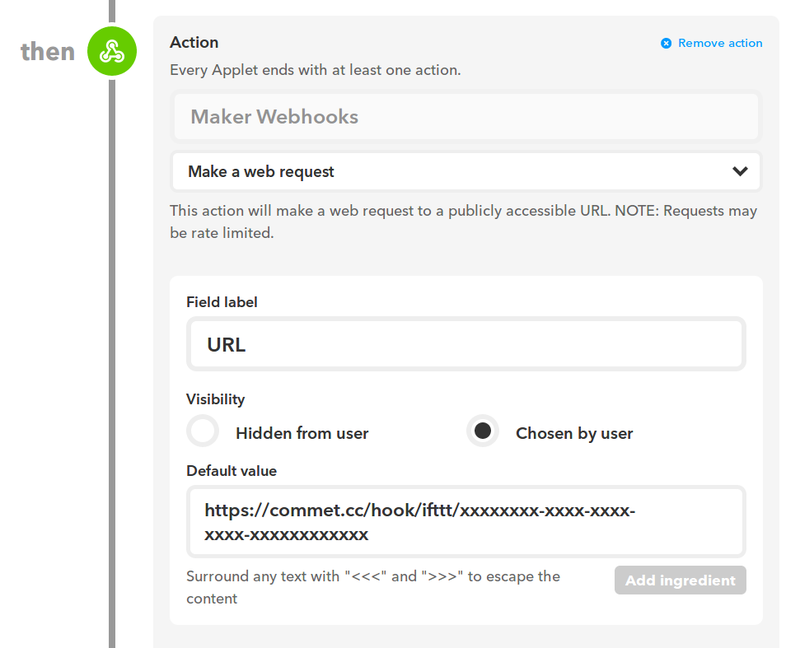 IFTTT offers a way of sending requests to external URLs called Maker Webhooks, and you can use it to connect other services on IFTTT such as Dropbox to Commet. If you are not a member of IFTTT yet, sign up for it. IFTTT itself is a great service. 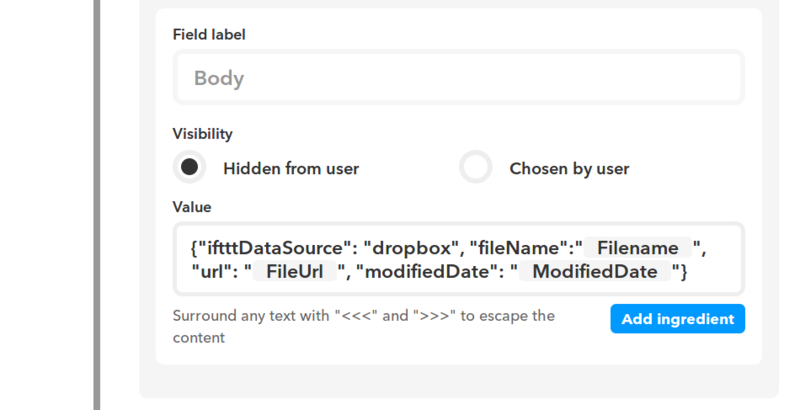 Then, you need to become a Maker to integrate other services on IFTTT with Commet. It’s free. Go to the platform site, and create a new applet. Here is the official documentation. 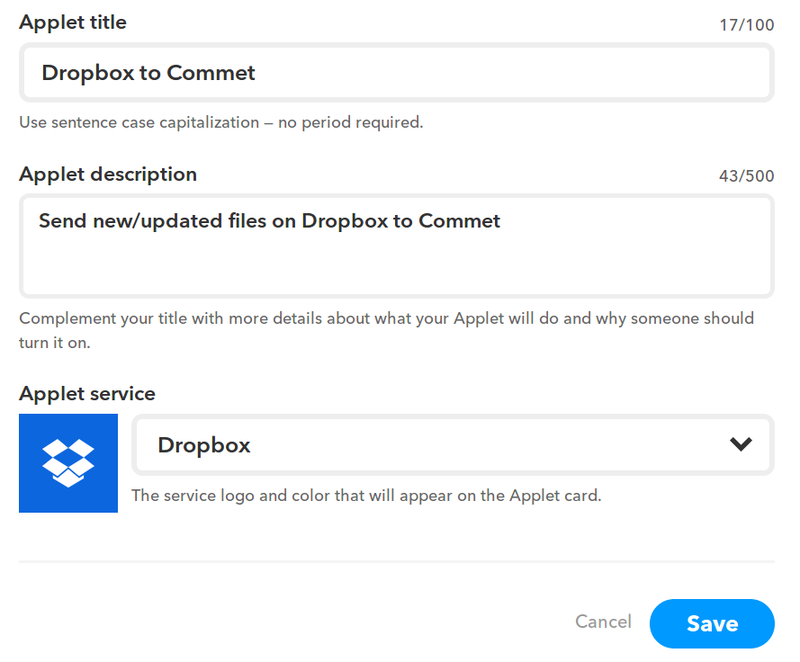 The following steps vary slightly depending on which service you would like to connect to Commet. Below is for Dropbox. Configure “Trigger”. 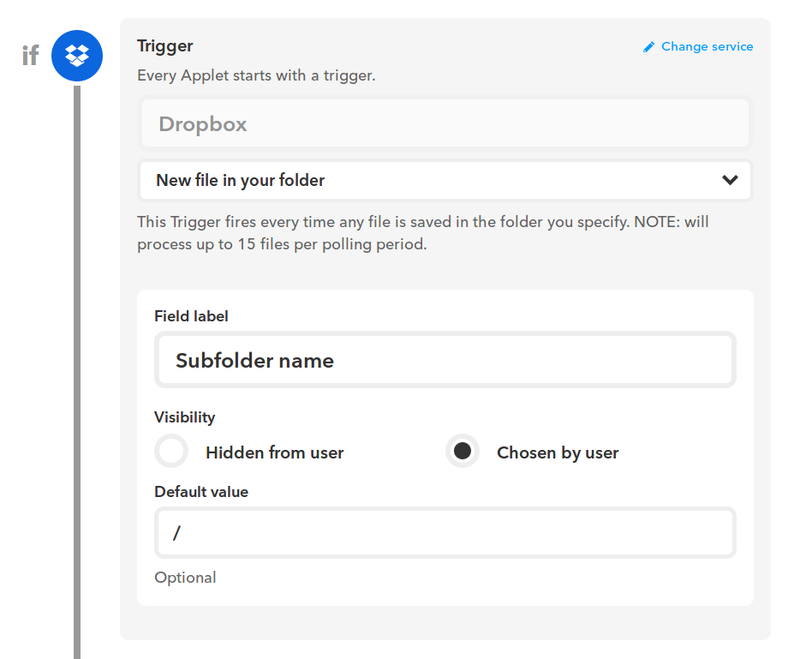 You can integrate only a subfolder instead of the whole Dropbox folder. Finally, you have to enable the applet. 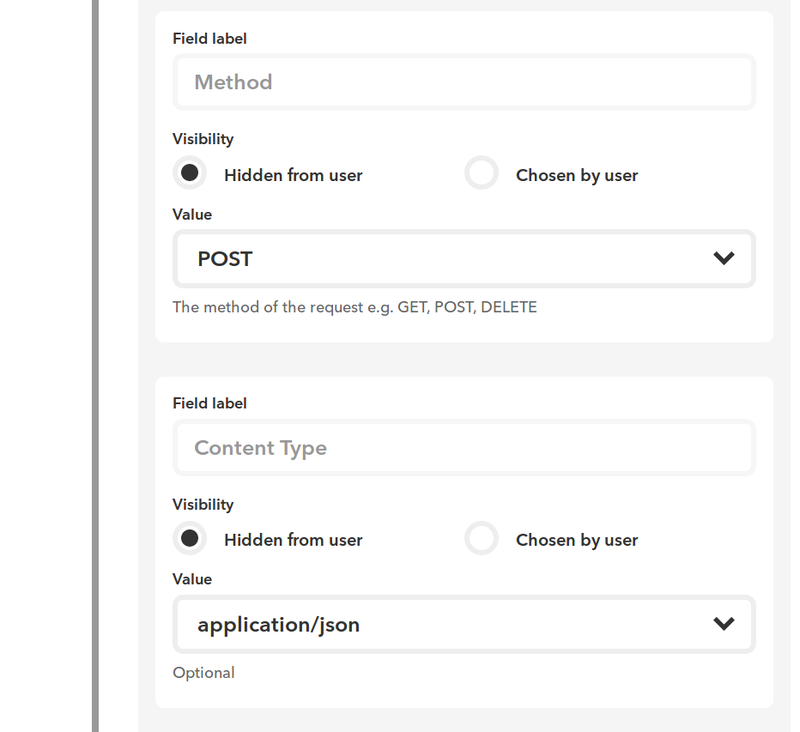 After enabling it, the panel should look like the following. 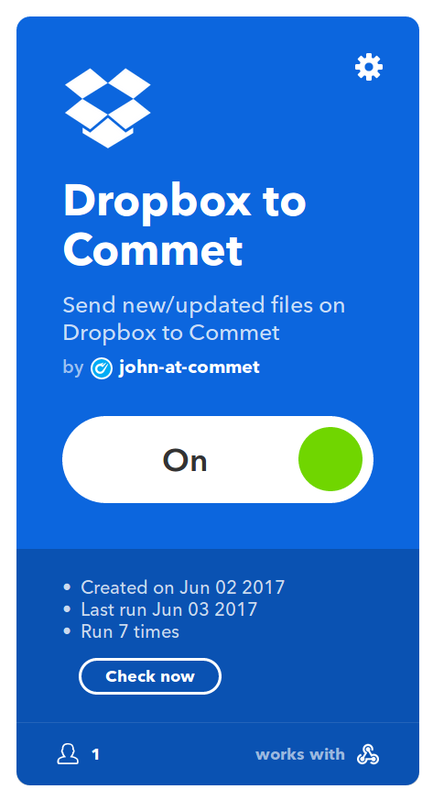 You can integrate services on IFTTT with Commet using IFTTT Maker Webhooks, and we’ve posted a recipe for Dropbox. We will publish more for other services soon.